New Physical Activity Guidelines for Americans – You Asked It! 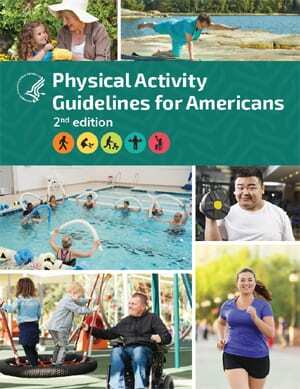 The second edition of the Physical Activity Guidelines for Americans has been released by the U.S. Department of Health and Human Services. So what’s new in this edition? Health benefits in relation to brain health, fall-related injuries, and cancer. Benefits for sleep, how people feel and how people function. How sedentary behaviors affect overall health. Guidelines for children ages 3 through 5 years. Tested strategies to get people more active. These guidelines will be incorporated into the Walk Kansas program for 2019.